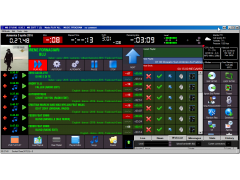 MB RECASTER 4.3 PRO & FREE is avaiable for download. MB STUDIO version 8.59.3 available for Windows 10, 8, 7, Vista. Warning: if you upgrade from version 8.59.1 or lower read the changes to the Webcast section before to install! MB RECASTER PRO 4.2 is available. - RS98- è il punto di riferimento dei Calabresi all'estero.